Flying days don't have to be over for elderly vets. 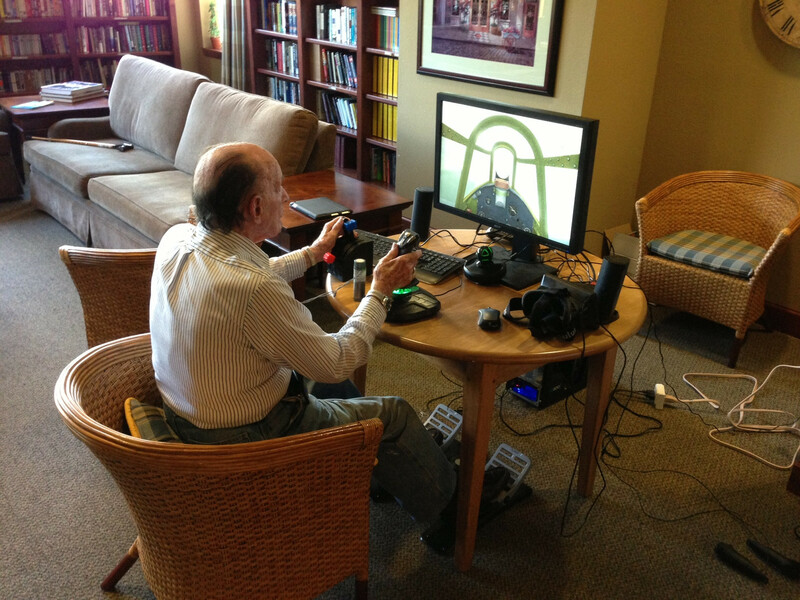 Thanks to Reddit user Jwsimmons, who's been visiting assisted living homes with Oculus Rift for the past year, these former pilots get to experience the planes from their glory days all over again. To bring the experience to life, Jwsimmons tweaked the massively multiplayer flight and battle sim game War Thunder. He simplified the controls and he disarmed the planes so there's no actual combat. That, with the key addition of Oculus Rift, lets these aged dudes feel like they're flying once again. And they're piloting exactly the same planes they flew back in their combat days—Wildcats, Hellcats, Corsairs, Mustangs, and a bunch of other helicopters and planes from WWII and beyond.